After leaving the city and spending the night in Bethany, Jesus returned to Jerusalem the day after His royal entrance into the city. As Jesus walked towards Jerusalem, He passed a fig tree, which was not yet producing fruit. During this time of year, fig trees are full of leaves, but do not produce fruit. Jesus cursed the tree, using it as a visual parable for His disciples. The tree represented Israel. Outwardly, Israel looked healthy, like the tree with lots of leaves. Also like the tree, Israel lacked fruit. Rituals and traditions had taken the place of heartfelt worship. Upon arriving in Jerusalem, Jesus again went to the temple. It was bustling with activity, as it had been the day before. People coming from out of town needed to buy animals for sacrifice. They could buy the animals outside of the temple walls for a lesser cost, but they risked the animal being rejected by the priests. Buying inside the temple, at a much higher cost, was safer. 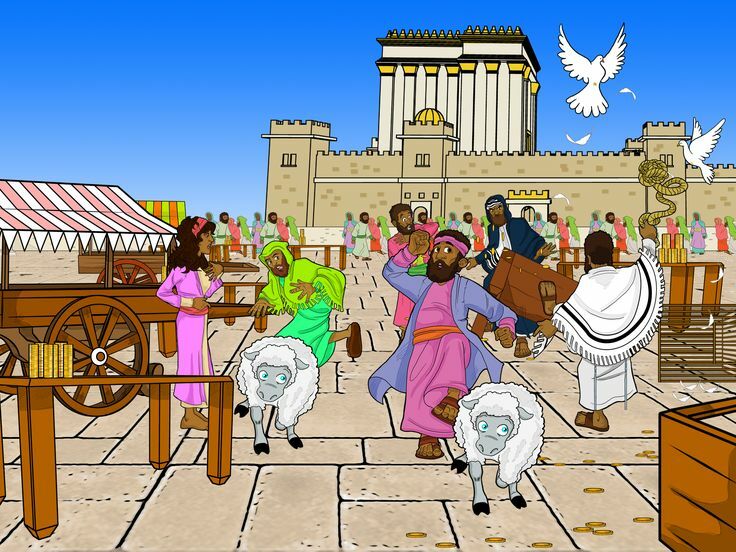 At Passover, the Temple required the people to pay a tax. It could not, however, be paid in the coin of the day, rather it had to be paid in temple gold. For a price, money could be changed into temple gold. Jesus, who having observed these actions the previous day and sought guidance overnight, sprang into action. He upended tables and benches, sending money scattering in every direction. Sheep started bleating, birds began cooing, and all animals sought to escape the sudden chaos. Jesus, with a whip made out of cords, drove the animals and their sellers from the temple courtyard. No more would the temple courtyard be used as a thoroughfare! No more would the temple courtyard be a marketplace! Mark records Jesus saying, Is it not written: 'My house will be called a house of prayer for all nations’" (underline added, Mark 11:17, NIV). This seems to be Jesus foreshadowing the day when all will be able to enter the temple and worship, even the Gentiles. Until then, by clearing the temple, He has not only restored His Father's house to one of respect, but also ensured that the Gentiles, who were looked down upon by many leading Jews, would have a quiet place to worship the Lord. Once again, Jesus demonstrated that He came not only for the Jews, but for all mankind. 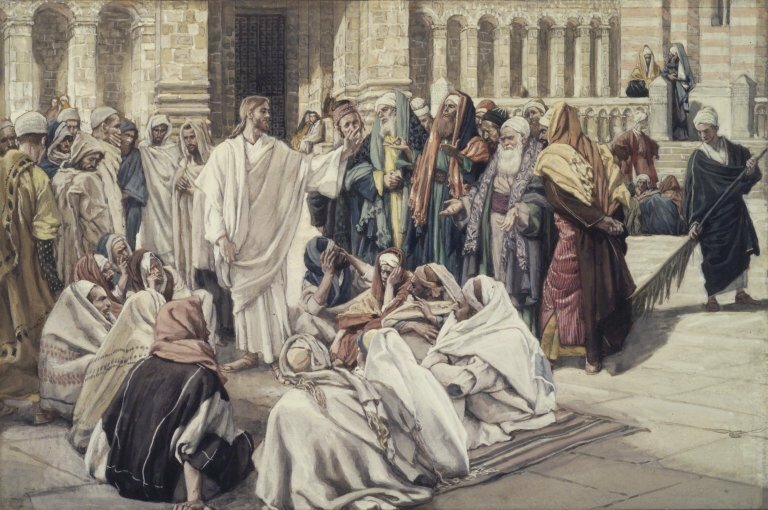 After cleansing the temple courtyard, Jesus remained in the temple, healing those who came to Him and verbally sparring with the pharisees and those who sought to eradicate Him and His teachings. Jesus knew He did not have much time, yet He still looked after all of His flock. He took time to fix what was wrong and help those who needed help. 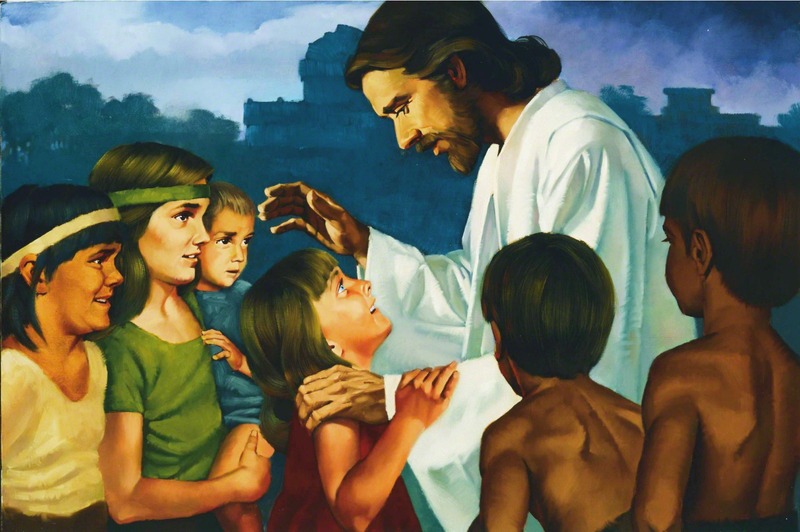 Until the end, Jesus never ceased in helping others.